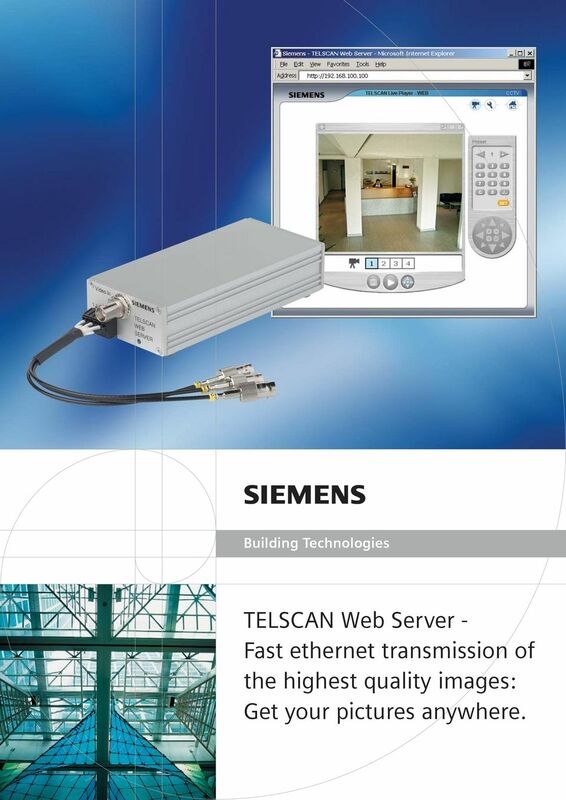 1 Building Technologies TELSCAN Web Server - Fast ethernet transmission of the highest quality images: Get your pictures anywhere. 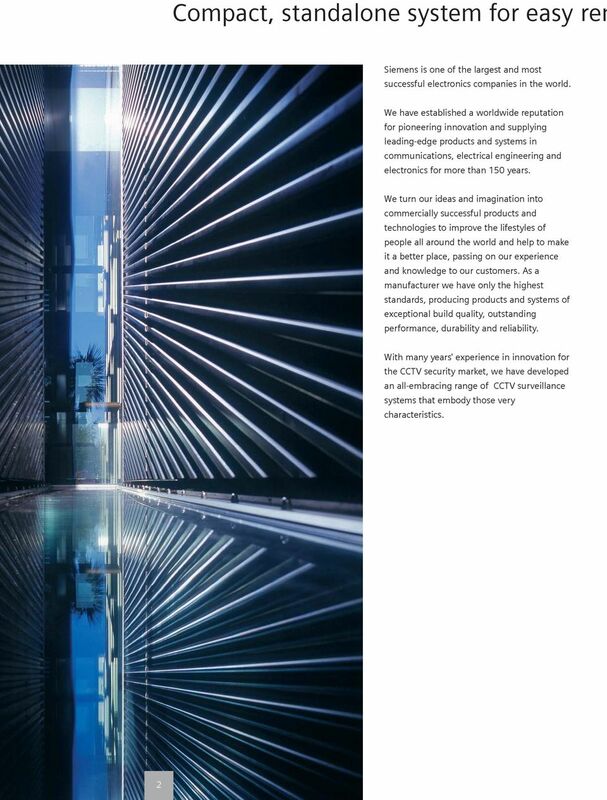 8 Siemens Building Technologies Ltd. Fire & Security Products Alte Landstrasse Männedorf Switzerland Tel Fax Divisional Units in Australia, Austria, Belgium, Czech Republic, France, Germany, Italy, Malaysia, Netherlands, Norway, Poland, Singapore, Spain, Sweden, Switzerland and United Kingdom. 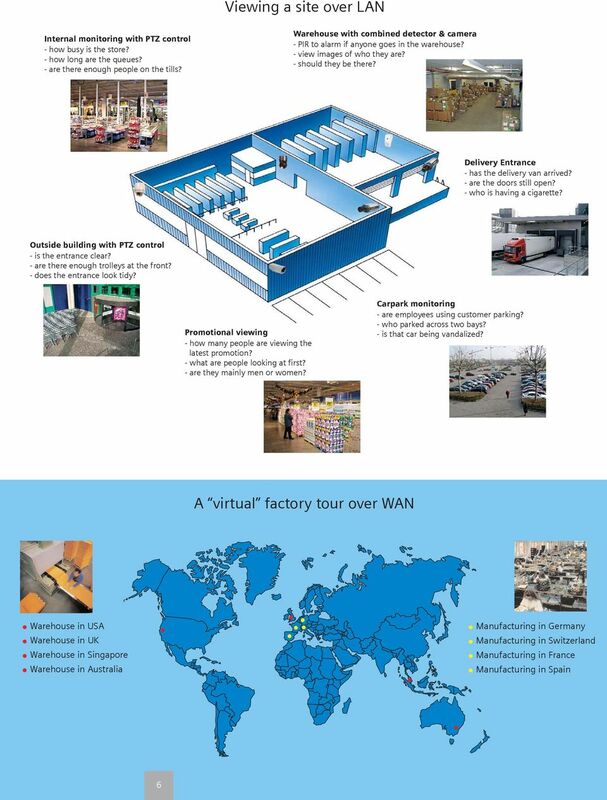 Distribution Partners in more than 40 countries. 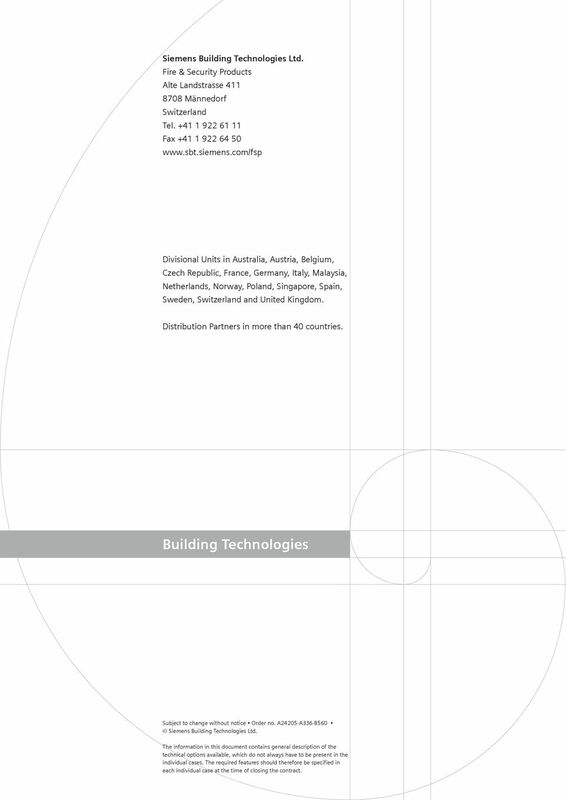 Building Technologies Subject to change without notice Order no. A24205-A336-B560 Siemens Building Technologies Ltd. The information in this document contains general description of the technical options available, which do not always have to be present in the individual cases. The required features should therefore be specified in each individual case at the time of closing the contract. 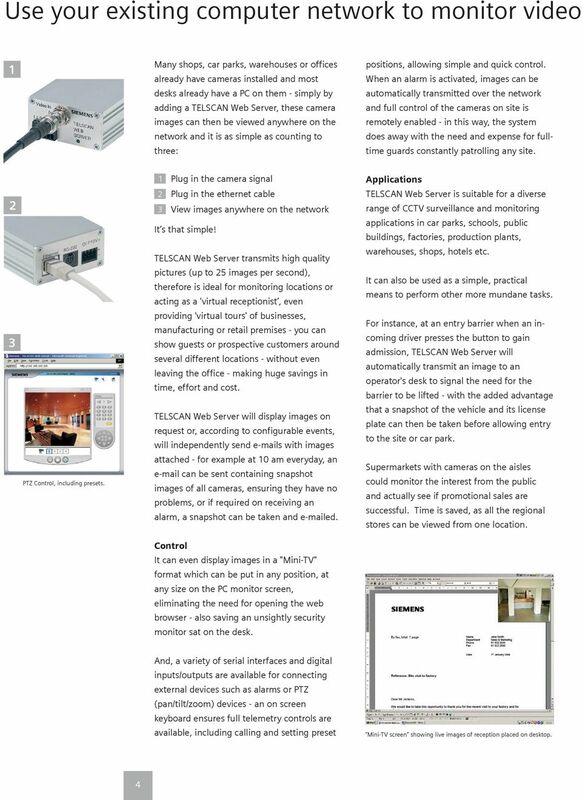 IP Camera Tutorial. 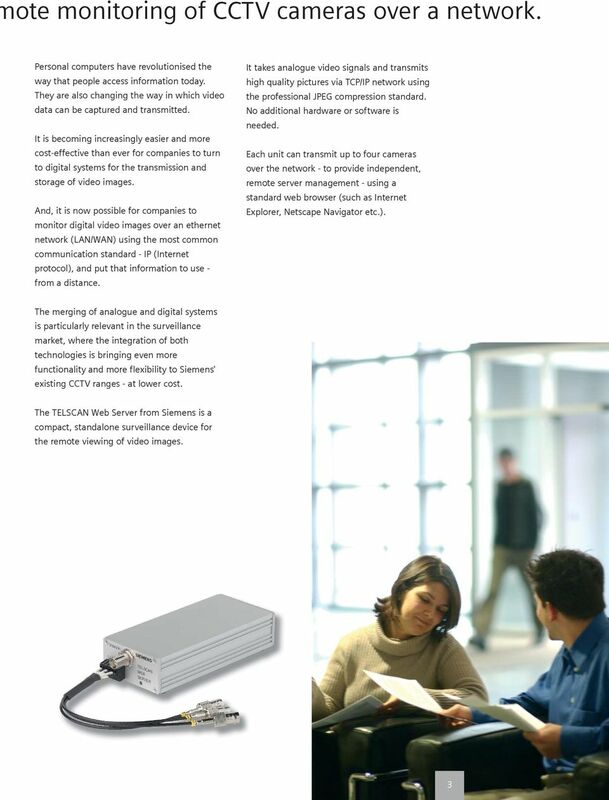 What is a Network Camera? MM8000 safety and security with smart danger management. A scalable and flexible management station for any requirement. Answers for infrastructure. The Video Server. IP Video Server (Codec) with H264 compression, Power over Ethernet & SD card recording. Data Sheet. CCTV. SISTORE MX the hybrid video surveillance system for up to 32 cameras. Answers for infrastructure. Honeywell HUS-NVR-6032 is a 32-channel network video recorder (NVR) that supports realtime video/audio, live viewing and playback. It can also be applied as an IP storage device in large-scale deployments. 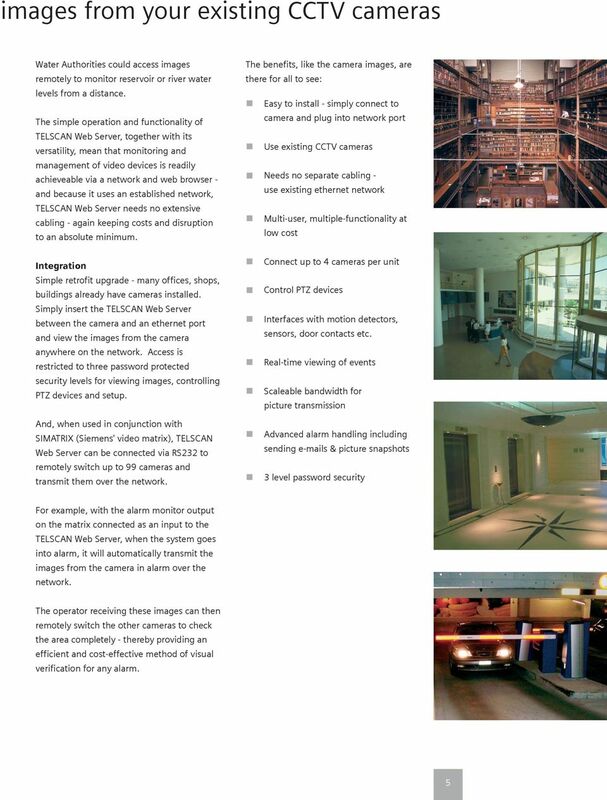 Axis network cameras A wide portfolio of products for professional video surveillance. IP-200PHD-24. 2 Mega-Pixels. 2.0 Mega Pixel Passive PoE IPCamera. High Quality 2.0 MegaPixel Image. Easy to Install. 1600x1200 Pixels. 2.0 Mega Pixel Passive PoE IPCamera S till couldn't find a way to watch your children or the elders when you are in busy or on duty? Or just need an easy solution for monitoring your office, store or garage? 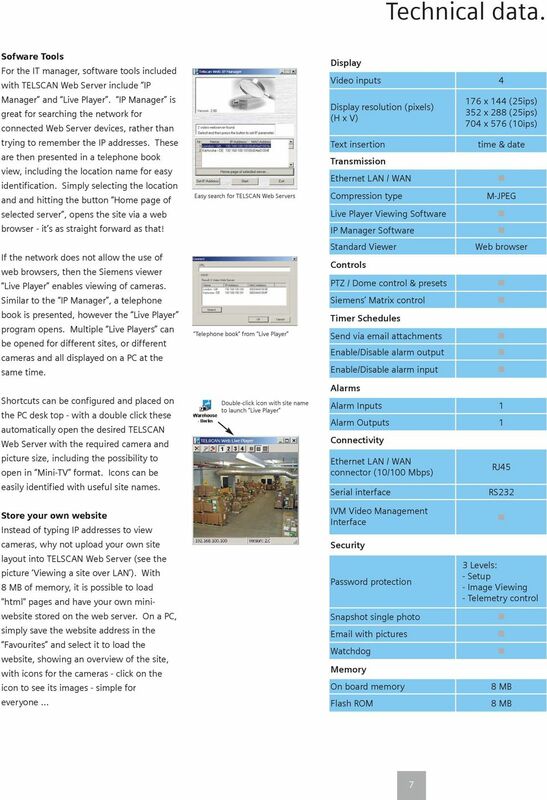 PU-USBX USB over Ethernet Extender OPERATION MANUAL Safety Precautions Please read all instructions before attempting to unpack or install or operate this equipment, and before connecting the power supply. Axis video encoders. Where analog and network video meet. 24/7 Monitoring with Watchport/V USB Camera and Software (Comprehensive Motion Detection, Monitoring and Alerts: Local PC, LAN PC or WWW) Maximum Flexibility; Maximum Coverage Contents I. Overview 3 II. IP-200PHD. 2 Mega-Pixels. 2.0 Mega Pixel Passive PoE IPCamera. High Quality 2.0 MegaPixel Image. Easy to Install. Pixels. Pixels. TruPortal Access control designed simply for you QUICK START GUIDE Introduction TruPortal access control solutions have been engineered and designed to install quickly and easily right out of the box.